The internet has once again leaked photos of what looks to be a hilarious movie. Only this time, one of the actors is holding a bottle of Gansett. Yup! That’s Aziz Ansari with a Gansett in his hand with that “hooolllyyy SHIIITTTT!” look in his face. Please say something delicious during this scene and don’t say calzone. Seth Rogen‘s directorial debut “The End of the World” is currently filming in New Orleans with an all-star cast of James Franco, Jonah Hill, Michael Cera, Paul Rudd, Jay Baruchel, Jason Segel, Rihanna, Emma Watson and Aziz Ansari all playing themselves. 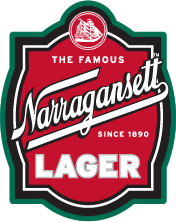 That’s an awful lot of celebs enjoying ‘Gansett. The film takes place during a party at Franco’s house where they all watch “The End Of The World.” There, I said it. The plot will follow Rogen, Baruchel and a few others who survive the apocalypse and try to figure out what to do next. It’s due out next summer. We’ll be sure to keep our eyes on this one.